What Can Parents Do about Products that Injure Their Children? Parents invest a lot of time and effort into protecting their children from people, places and things that could cause harm. This is especially true for products specifically purchased for use on or by the child. However, if a product does harm a child, the parents may have grounds for a product liability lawsuit. To avoid injury, many parents do the research to make sure they are buying the safest and most beneficial product available. Often, parents start with companies specializing in children’s products or those with a track record of manufacturing quality items. In other words, they go with companies they know, but recalls are issued all the time for dangerous products, even by well-known manufacturers (e.g., IKEA and Walt Disney Parks and Resorts). One product specifically manufactured for children that has proven particularly dangerous is comprised of homeopathic teething tablets and gels. Children have experienced seizures after ingesting these products and the FDA has issued a warning last fall calling for parents to stop using them. However, with all of the products on the market, and new ones entering every day, assessing what is safe can be difficult. The law expects manufacturers to use care in the design and manufacture of consumer products, and places liability on manufacturers for products that cause injury. Because children are more vulnerable to injury due to size and lack of understanding, products created for them are subject to their own set of consumer safety regulations. These regulations factor into the way products are designed, but they do not guarantee a product is free from defects. Defects in design occur when there is an inherent flaw in a product’s design that makes it unreasonably dangerous. These defects appear in every product that is manufactured because the error is in the product’s conception and not the way it is put together. Companies face liability if the risk posed by the design defect was foreseeable when the product was used as intended, and a viable alternative design was available. A defect in manufacturing appears when a product is assembled incorrectly or otherwise deviates from the proscribed design schematics. These defects only arise in a select number of products because the product itself is fine, but the method of production was flawed. These defects were not intended, but the manufacturer is still held responsible for badly assembled products that cause injury. This liability applies regardless of how carefully a manufacturer designed, assembled and instituted quality control measures. The only limitation on a manufacturer’s liability in these situations is if a consumer used the product for an unintended purpose. Finally, even without design or manufacturing defects, a company can still be responsible for injuries if it failed to adequately warn the consumer about a foreseeable risk, and a warning would have reduced or prevented an injury. Thus, if a manufacturer releases a product into the market without instructions or warnings on its use and a consumer is harmed, the company is very likely accountable for the injuries. However, warnings are not always required. If a product has a hidden danger, which the manufacturer knows, and the risk is not eliminated if the product is used as intended, warnings are generally necessary. The warnings should be conspicuous, clear and easily located, but consumers have an obligation to follow warnings, and failure to do so could relieve the manufacturer of responsibility. As a parent, protecting your child is a high priority. If your child was injured by a company’s product, talk to a personal injury lawyer about holding the company accountable. 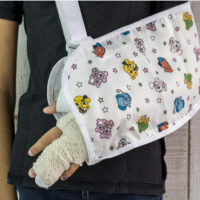 No parent should have to fear harm coming to their child from a children’s product, and the Miami law firm of Pita Weber Del Prado will fight to get compensation for your family. Contact the office for a free consultation.